Cosima Marriner writes, "Parents are pressuring schools into buying iPads for the classroom, despite a lack of evidence about their educational benefit, no guidelines for teaching with them, and confusion about the best apps to use." With people leading increasingly busy lifestyles, more and more people are turning to online education. Online education allows students to fit study around their busy life - not fit their busy life around studying. More students than ever before are choosing to get their education online. Studying online is practical and affordable. There are no boarding or meal fees and no transportation costs. Studying online also saves time. You don't lose valuable studying time walking or riding to school. You can earn virtually any degree or certificate online. You can even get your MBA online! More students are studying online than ever before. Younger and younger students who grew up with their computers and iPods are finding more comfort with the online learning model. The UK's Open University serves more than 263,000 students in 23 countries. Over a quarter of the university's students are now under age 25. The university has broken records with its use of iTunes U's digital library. Students have downloaded more than 31 million lectures and materials from Open University. More than 90 percent of these students are from outside the UK. Students are comfortable accessing lectures from the convenience and comfort of their iPods. When online classes were first introduced, many were speculative. 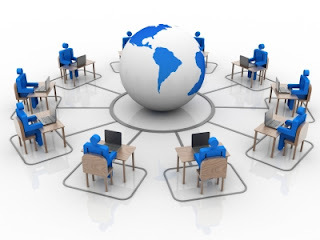 How could studying online replace face-to-face classroom instruction? Today, some of this speculation remains. Doubts about online education are unfounded. According to a 93 page report by SRI International for the Department of Education, students learning online actually outperform those receiving traditional classroom instruction. One possible reason is that online instruction tends to be more tailored to the individual. Latest issue of JALN probes the quality of online interaction and learning. 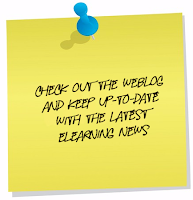 The Sloan Consortium’s (Sloan-C’s) Journal of Asynchronous Learning Networks (Volume 16, Issue 4) brings together scholars and practitioners who share practical advice, specific approaches, and illuminating examples about using analytics to help improve learning in postsecondary contexts. Contributors represent University of Toronto, Texas Tech University, University of Memphis, Purdue University, Northern Illinois University, Open University of Israel, DeSales University, University of Central Arkansas, University of North Florida, Long Island University and the University of Texas. In “Blended Course Design: A Synthesis of Best Practices,” Patricia McGee and Abby Reis analyze common principles for the design process, pedagogical strategies, classroom and online technology use, assessment strategies, and course implementation and student readiness, highlighting disconnects and areas for closer research. In “Multidimensional Assessment of Blended Learning: Maximizing Program Effectiveness Based on Student and Faculty Feedback,” Orly Calderon, Amy Patraka Ginsberg and Liz Ciabocchi share results of an assessment designed to gather feedback from faculty and students and administrators on multiple aspects of blended courses. The sufficiency of university resources for blended learning emerged as the strongest predictor of student satisfaction. In “Using a Generalized Checklist to Improve Student Assignment Submission Times in an Online Course,” Terence Cavanaugh, Marcia L. Lamkin and Haihong (Helen) Hu find that students who receive checklists turned in their work two to five times earlier than those who did not. This paper discusses improvement of assignment submission timeliness related to higher course satisfaction for students and instructors. In “No Significant Difference in Service Learning Online,” Sue Y. McGorry compares traditional and online delivery of service learning for developing awareness of civic responsibilities, leadership and management skills, and social responsibility. The Software & Information Industry Association (SIIA) released the preliminary results of the 2012 Vision K-20 Survey, its fifth annual national survey to measure U.S. educational institutions’ self-reported progress toward building a framework that embraces technology and e-learning. The comprehensive report surveyed more than 1,600 educators and education administrators and suggests that K-20 institutions are maintaining current levels of technology growth despite difficult budget conditions. This year the report included new questions asking educators to assess their ideal level for each of the Vision K-20 benchmarks. The findings show that of those surveyed, their ideal levels are much higher than the current implementation. Also, overall postsecondary institutions were further along in all technology goals and ratings than K-12 institutions, the survey said. The 2012 Vision K-20 Survey was developed to provide benchmarks against which educators and administrators can measure their institutional progress in using technology to provide 21st Century tools, anytime access, differentiated learning, assessment tools and enterprise support. The final 2012 report will be available in mid July. 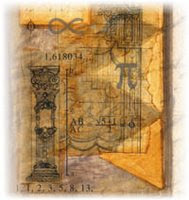 The 2011 final report is available online. M-LearnOntheGo, an integrated mobile and desktop content authoring tool which will transform Smartphone/Tablets into classroom on the go, offer on-demand content via text, audio, video, PowerPoint*, Blog, infographics, assessments and quizzes. amaROCKS Group, a leading workforce training and innovative learning solutions company, has developed M-LearnOntheGo, an advanced, state-of-the-art dynamic integrated mobile and desktop learning tool with pre-built courses and skill assessments to address today's fast paced hard-to-reach, global field and on-the-go busy workforce. M-LearnOntheGo allows you to co-brand your own site, author multi-media mobile courses, assessments and performance support, sell courses via built in ecommerce module, engage with users via comment, share, post, rate and interact via answer or ask module in Text, Audio, Video, and infographics format. The tool allows admin/facilitator to analyze the learners progress and activities in near real-time, manage content via built-in Content Management System (CMS), manage certificates by storing them in centralized environment, support performance by offering platform where product information, inventory lists, job aids, checklists, motivational quick tips, just-in-time guides, how-to manuals, reference material and make it accessible anywhere, anytime, and on any device. ﻿With the growing popularity of electronic readers, parents and preschoolers may be tempted to curl up with one of the devices for story time. But which is better for helping kids learn to read, print or e-books? summarizes Julie Rasicot. That's one of the questions that the Joan Ganz Cooney Center at Sesame Workshop set out to discover through a recently released study exploring the differences in the way that parents and young kids interact when reading print, basic e-books, or enhanced e-books together. The so-called "Quick Study" by the independent research lab involved 32 pairs of parents and kids, ages 3 to 6, who together read a print book and either a basic e-book, which is a digital version of a print book, or an enhanced e-book, which offers interactive media that may include videos and games. Kids were then tested on their story comprehension and parents were interviewed about their reading practices. Attend this GoToTraining Live Webinar below. Organisations are often held back from implementing mobile learning because they are not sure where to start, how much it will cost or whether they have the right audience for it. However, reasons like these should not keep organisations from looking into mobile learning in greater depth. 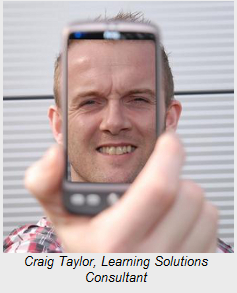 Join Learning Solutions Consultant Craig Taylor as he takes you through an interactive exercise designed to identify your learners and challenges and show you what (often free) mobile technologies already exist that can help meet your needs. Healthcare professionals can now access medical education on the go with the launch of an app from GP's sister website, myCME. 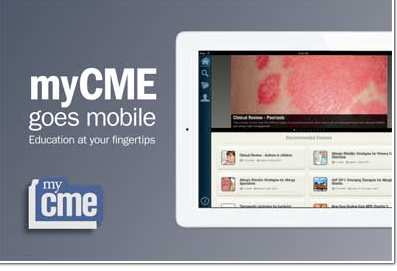 Developed in response to the increasing demand for mobile medical education, and complementing the highly successful MIMS app, the myCME app provides trusted, practical medical education at your fingertips. The app is available on iPhone, iPad and Android, and is free of charge to all healthcare professionals who register. Learning fully synchronised with the myCME.com website. The app offers hundreds of exams covering all specialties and therapeutic areas, with educational content from GP, MIMS, MIMS Dermatology and MIMS Conferences. Salient's email samples help business professionals upgrade their writing. For managers, they meet a critical need: tools for coaching staff on a core business process. EmailExcellence.com has begun posting business email samples to support companies and individuals wrestling with email writing challenges. Over the next several months, it plans to continue building an entire catalog of writing tools, email examples, and what it calls "eLearning nuggets"—brief clips of interactive content, each focused on a particular writing situation or challenge. Most surprising: It's all free. And unlike many websites posting free content, Email Excellence doesn't require visitors to register or otherwise surrender personal information. The company behind Email Excellence is Salient, Inc., and Salient founder Roy Speed says his company's ambition is to fill a costly gap in business today: the need for email writing standards. 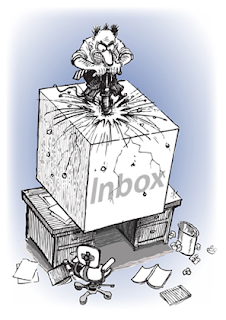 "In many professions and small businesses," he says, "email has come to dominate critical functions, like sales and customer service. Yet no one's quite sure whether they're doing it well or doing it poorly." Individual business people, in other words, have nothing to measure themselves against—no models that might point the way to simple improvements, no documented standards, no established best practices. Email Excellence aims to fill this void. 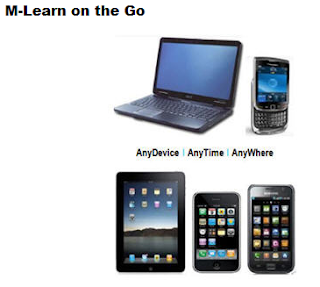 Mobile development training experts On The GoWARE create new course to get total beginners started quickly developing apps for iPhone, iPads, and Android devices. Careers in software development on mobile devices is and is expected to be one of the most highly demanded and highly paying occupations in the years to come, but getting started is a really giant hurdle to overcome for a complete beginner. The problems are that the software development tools are nearly impossible to learn (or even install) through self-teaching, and most computer training classes intimidate students with information overload. Software development is certainly an enormously vast field, with its nasty seven-syllable words and countless confusing acronyms. Developers don’t often make good teachers because they have a tough time “unlearning” what they know in order to relate to a rookie’s limited understanding. When a carpenter teaches a pupil the trade, it’s not necessary to teach about the breeds and qualities of every type of wood in the world, or the purpose and techniques of using every tool. Pupils don’t need to memorize all of the technical jargon and mumbo-jumbo specific to the industry. Instead, a master carpenter simply begins by showing the apprentice how to build a table. All of the details and background knowledge come in time from the experience of doing. Creating mobile apps is a craft just like any other. 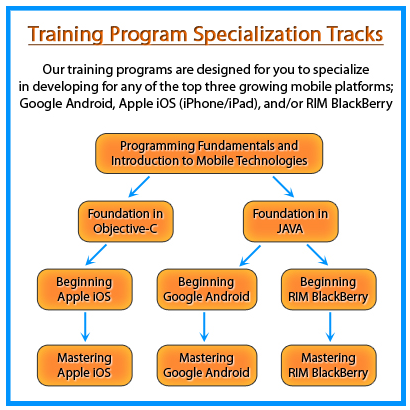 Naturally the technology industry is changing all the time, and a developer can always keep improving their skills, which is why On The GoWARE offers many continuing education paths for their students, including their mobile software development certification - the coveted MDICD (Mobile Development Institute Certified Developer) credential. 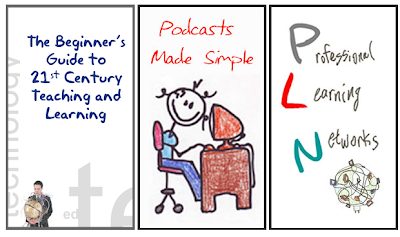 The e-books for educators brought to you by Learning Today are excellent for personal or professional development. Web-based instructional activities have an enormous potential to enhance and entice learning. However, integrating the internet into your curriculum in a way that has a positive impact on students' learning can seem like a daunting process. 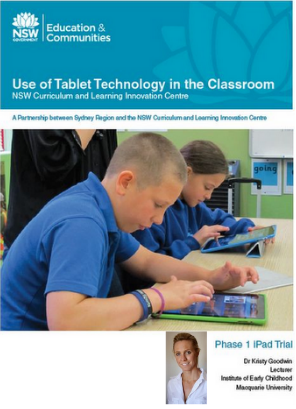 This e-book, created to make this process easier, is meant to serve as a starting point for 21st century teaching and learning.It, like 21stcentury teaching and learning, will continue to evolve. Check back regularly for updates. 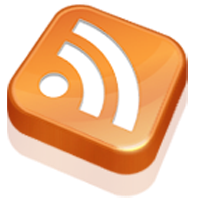 If you need a more in depth discussion on the who, what, why, and how of podcasting in education, check out blog 1 and blog 2 of the podcasting series. Today, with advent of the real-time social web, teachers are networking globally in ways never possible. These are the top 3 types of Professional Learning Networks every educator should join. Khan Academy – Nu snart på dansk!